Friday, April 12, 2019 · 6:00 p.m. - 9:00 p.m.
Chip Leer is a 2019 Freshwater Fishing Hall of Fame inductee, fishing guide, outdoors communicator, product promoter and developer. 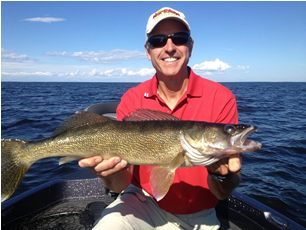 He is the stage and TV host for the Cabela’s National Walleye Tour. Learn about the latest equipment and how to protect our fishing resources! Department of Natural Resources, Riverside United Methodist Church, and Hubbard County Environmental Services.